A luxury eco-friendly lodge located on a remote and wild part of the beach along the Inhambane coastline in tropical Mozambique. 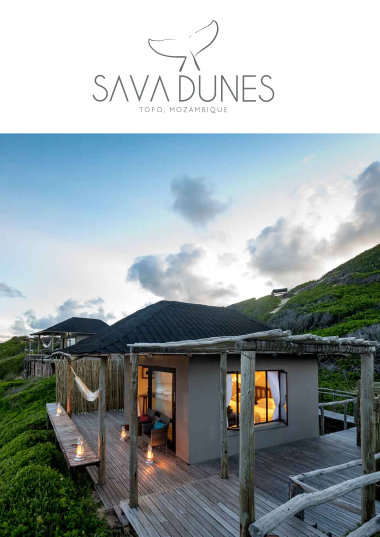 Cocooned between bustling Barra and Tofo in Mozambique and enveloped by golden sand dunes, Sava Dunes certainly sets the standard in terms of location. Perched on top of a sand dune, this 5 bedroom luxury eco lodge (completely solar powered) enjoys expansive views of both beach and ocean. A pocket of luxury amidst completely wild, raw and rugged coastline. The beach is a few metres from your doorstep, and offers warm waters with a peeling surfable wave ideal for bodyboarding. In season, whale-sharks and humpback whales frequent the area; and bottlenose dolphins are also commonly spotted. The surrounding area is world-renowned for its ocean safaris - the perfect place for the ocean lover. 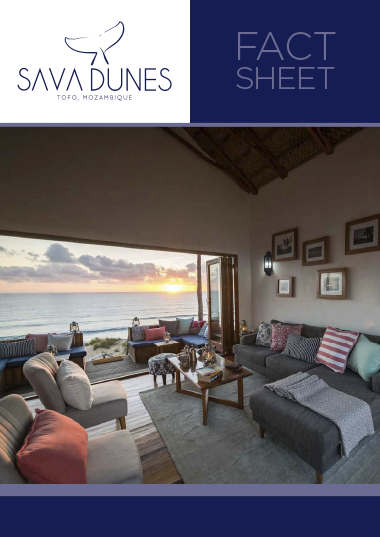 Authentic, off-the-grid, tranquil and luxurious - this is Sava Dunes, Mozambique’s best kept secret. 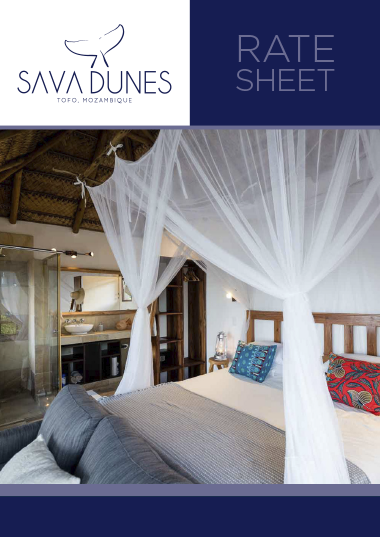 Sava Dunes is enviably located on a remote part of the Inhambane coastline in Mozambique. The location is quite a bit north of the small village of Tofo (roughly 5.5 km ) and close to the south of Barra beach (1.5 km). In terms of getting to the lodge, we recommend flying. 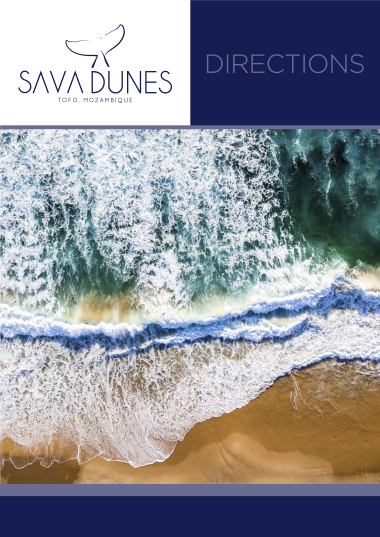 Sava dunes is a self-drive destination, but only seasoned 4x4’ers should attempt the drive. The roads are sandy and the location is remote. It requires a certain level of skill to navigate the landscape. You will need to fly into either Vilanculos or Inhambane, and the lodge will transfer you from the airport. These road transfers are at an extra cost and will need to be arranged along with your booking.